Coast Guard applique flags from Gettysburg Flag Works are crafted by hand right here in the USA. Made of nylon and featuring layered insignias and lettering, these flags are hand stitched and have a substantial look and feel that truly sets them apart. 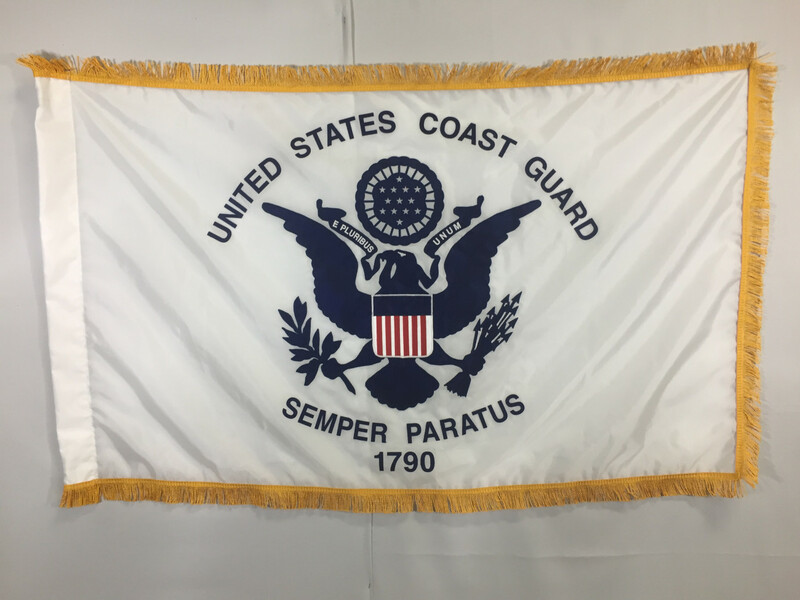 Extensive detailing, fringe, and pole hem make these Coast Guard applique flags ideal for formal indoor display. 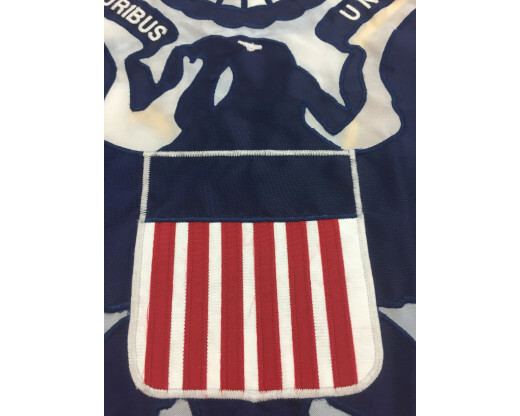 Our high quality US Coast Guard applique flags are crafted with significant care and attention to detail. 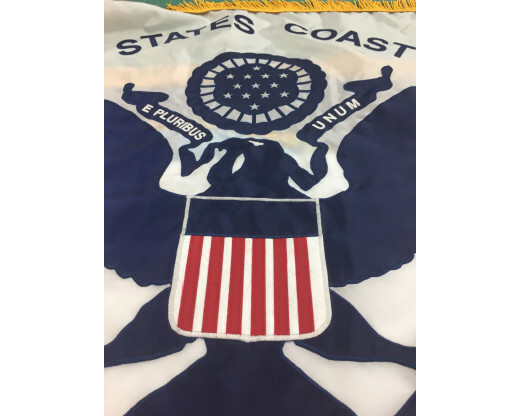 Featuring designs and lettering cut from nylon and hand stitched into place by our talented seamstresses, plus decorative fringe and pole hem, these Coast Guard applique flags are perfect for use at formal ceremonies and events, or for indoor display. 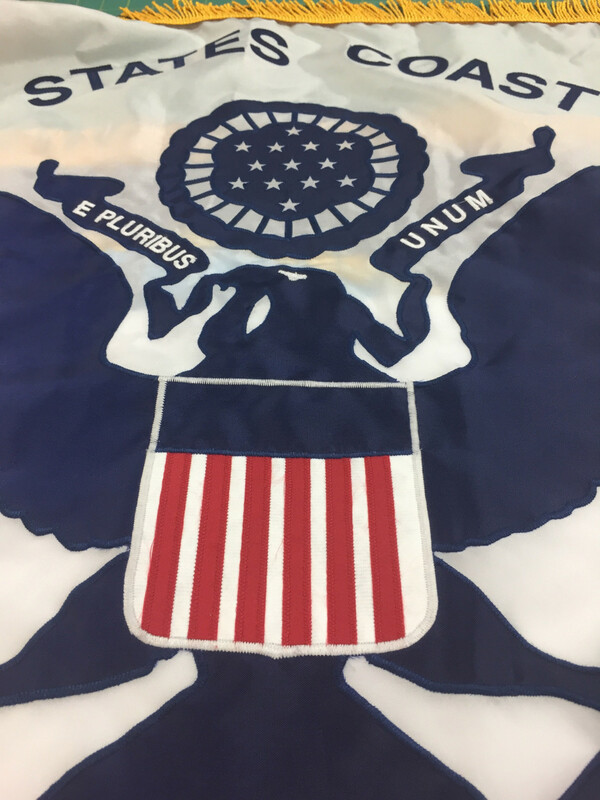 Need an Applique Flag for Another Branch of the US Military? 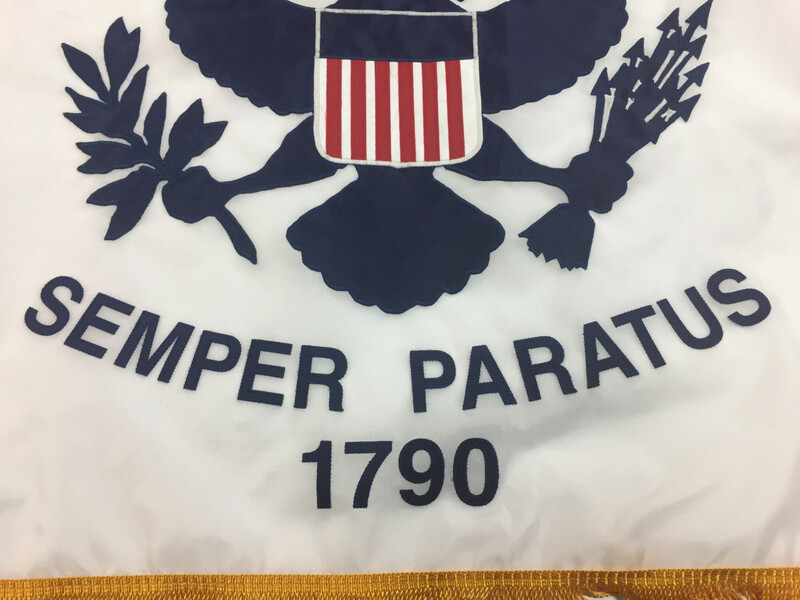 At Gettysburg Flag Works, we design and manufacture military applique flags for the Coast Guard, as well as other military branches including the Army, Navy, Marines, and Air Force. 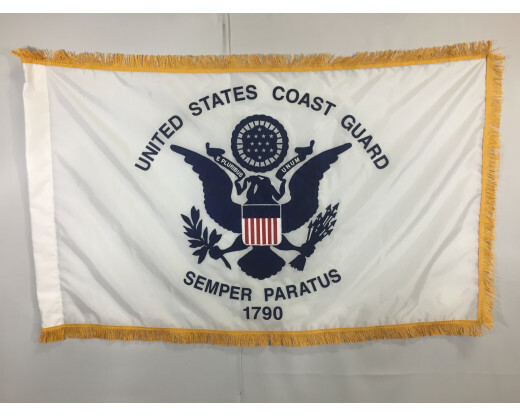 Want to Take Your Coast Guard Applique Flag to the Next Level? 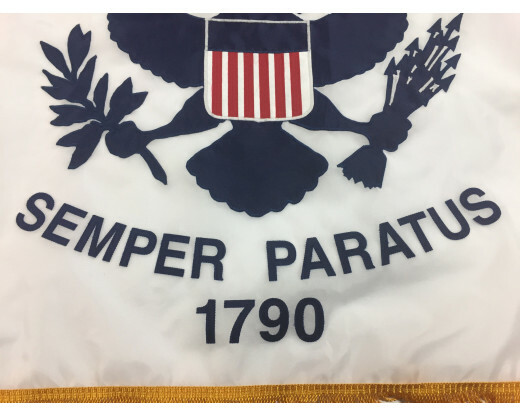 Work with us to create a custom military applique flag! 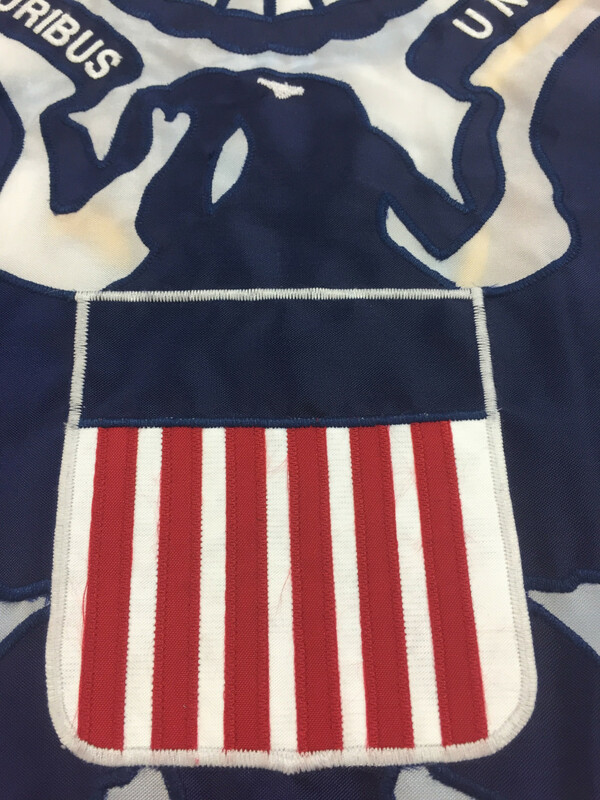 Browse our Custom Applique Flag Portfolio for some inspiration, then order your customized applique flag today! Have questions or need help placing your order? Give us a call at 1-888-697-3524 or contact us online and one of our team members will gladly assist you!